Not that he’s biased, or anything. Unless you’ve been hiding under a rock during this week’s Frankfurt Motor Show, there’s no way you could have missed the unveiling of what has already become the most talked about car of the year. We’re of course referring to the mighty Project One hypercar, Mercedes-AMG’s Formula One car for the road packing over 1,000-horsepower. On hand to talk about the Project One’s race-derived technology after driving it onto the stage for its world debut was Formula One star Lewis Hamilton, who couldn’t resist taking some pot shots at his main racing rival, Ferrari. 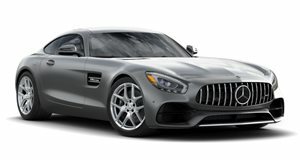 Mercedes-AMG is currently losing against Ferrari in Formula One, and Hamilton believes this can be replicated in AMG’s road cars, too. Talking to Top Gear, Hamilton made the bold claim that Mercedes-AMG can build a better supercar than Ferrari. “I’ve been saying to Mercedes for so long, why don’t you do a real car? Like, you’ve got AMG sports cars, but I’m talking about a supercar,” said Hamilton. Erm, has he forgotten about the CLK GTR supercar, i.e. the closest AMG road car to match the Project One’s performance in the last 20 years? “Why is Ferrari building these supercars? We can build a better car than them," he continued. "We build a better racing car than them, why don’t you guys build something that takes Mercedes to another stratosphere. And eventually I guess, after I’ve been saying it for ten years, so eventually they’ve gone ahead with it, and I think that’s cool.” You could of course argue that Hamilton is biased here, given that he’s been driving for Mercedes in Formula One since 2013 and helped engineers develop the Project One, so having him stand on stage firing pot shots at Mercedes AMG’s chief competitor is bound to stir up some publicity. That said, the Formula One star does have a LaFerrari in his collection, and Ferrari has been lagging behind Mercedes AMG’s Nurburgring lap times lately.